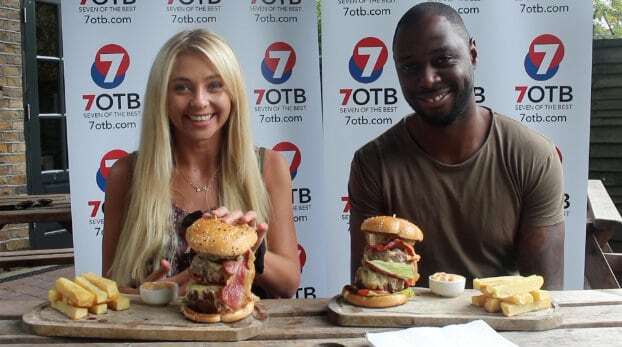 Fearsome former-Premiership defender Ledley King met his match this week when he was thrashed ‘3-1’ by a tiny blonde – in an EATING CHALLENGE. Despite earning 21 caps for England and notching up an astonishing 268 top flight appearances for Tottenham Hotspur, the feared defender was no match for super-eater Kate Ovens. Kate, 23, was crowned ‘Burger King’ over the beloved footballer after she smashed the Spurs legend in an impressive eating challenge – taking on a triple, one-and-a-half pound cheese and bacon burger and mountain of fries. Kate Ovens with Ledley King. 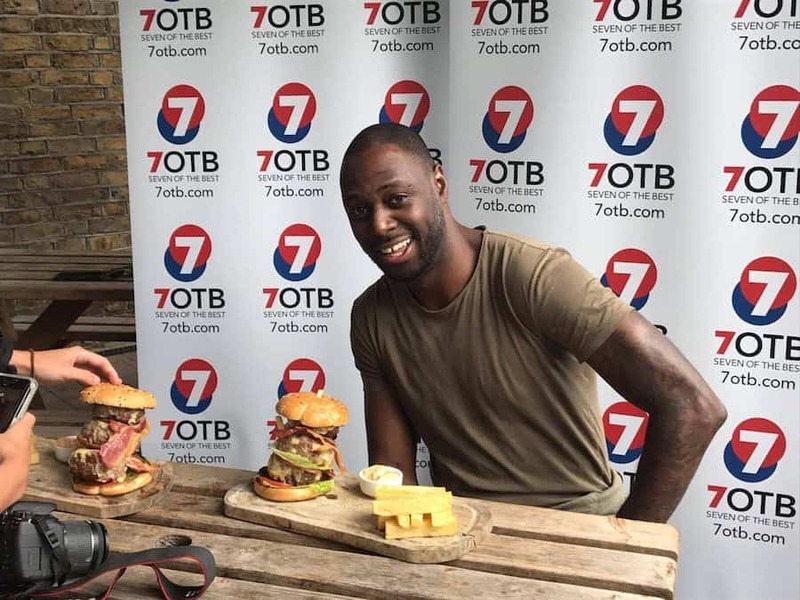 See National story NNKING; Fearsome former-Premiership defender Ledley King met his match this week when he was thrashed ‘3-1’ – in an EATING CHALLENGE. The football-sized burger and fries weighed in at around 2,700 calories – meaning during his career King would have had to play three, 90-minute games to burn off the meaty feast. While 5ft 5in Kate devoured the entire ‘Snack of the Net’ challenge, 6ft 2in giant King, who works as an ambassador for Tottenham Hotspur, was left with most of the bun and chips when the final whistle was blown. Fulham FC supporter Kate said: “It was an incredible day, and Ledley was such a great guy. The challenge took place at The Three Colts in Buckhurst Hill, Essex, on Tuesday, and saw the powerhouse centre back – once described by Thierry Henry as the best defender he had ever played against – fail to achieve victory over tiny Kate. Kate added: “The food was delicious – it was meant to weigh around 24oz, but it felt much heavier in my hands. “I think it may have been 3-1 in football terms. “Ledley tackled the meat but left the bun and chips. 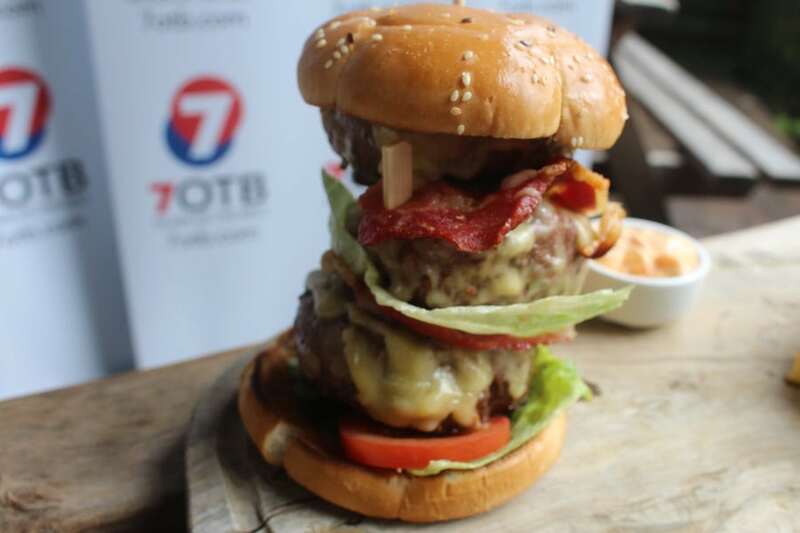 The football-sized burger and fries weighed in at around 2,700 calories. “The meat was the most difficult bit though in all honesty, so he was pretty fearless. The pair teamed up to promote a new online football game Seven of the Best – which has a £1 million top prize. Presenter and producer Kate, from Fleet, Hamps., has attracted almost 90,000 fans on her ‘Kate Ovens’ Facebook page with her unbelievable eating feats. 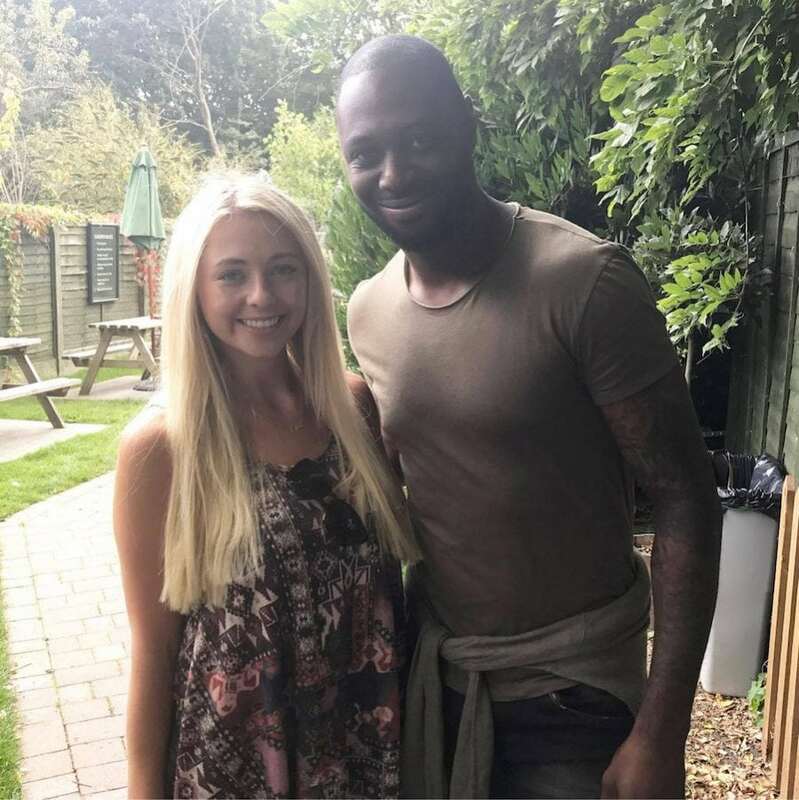 Kate Ovens with Ledley King. She added: “Afterwards Ledley offered to give me some football tips for 7OTB if I offered to help him get better at eating.